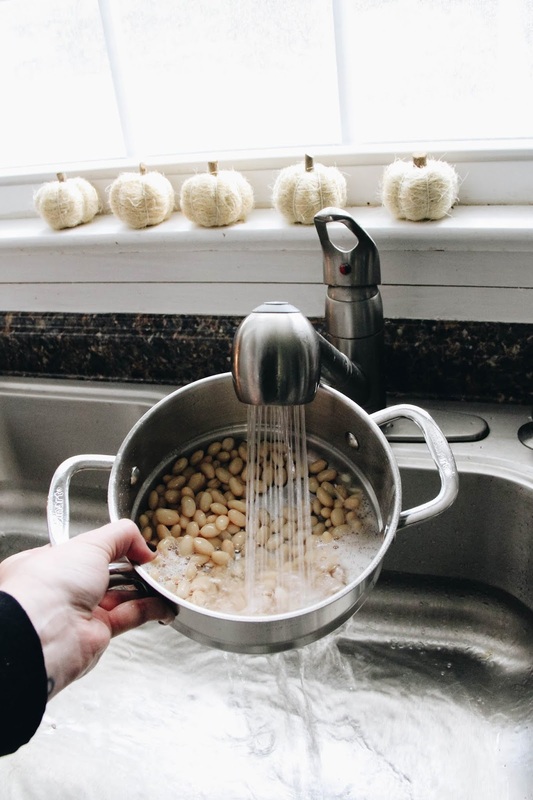 Come fall, our home is bubbling over with cozy feels. One of the ways I love to create the coziness is with a simmering soup or chili on the stovetop. 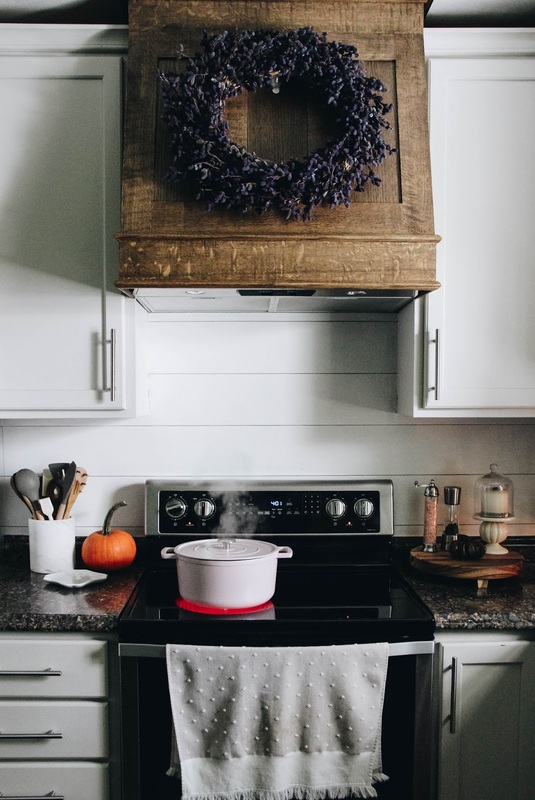 The aromas waft throughout the house and there's something about the sight of a clean kitchen with a dutch oven perched on the stovetop, steam escaping. 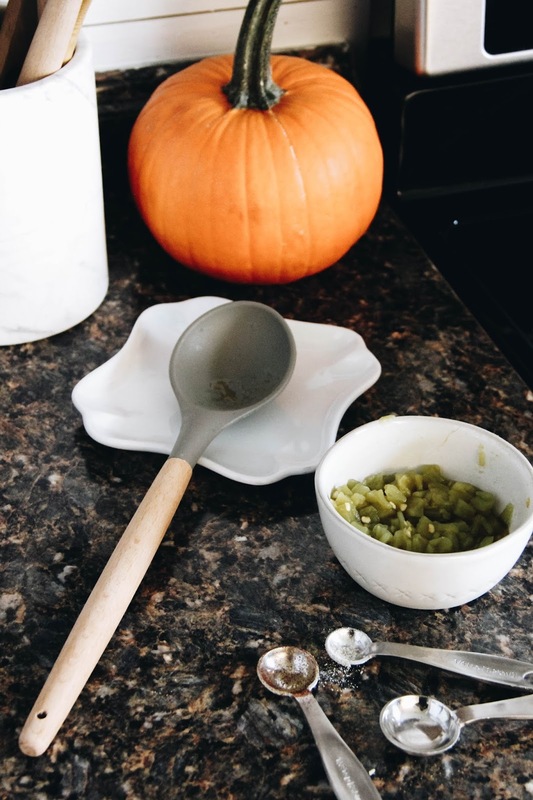 Not to mention, this type of dinner is fairly simple and it leaves more time to be enjoyed outside of the kitchen instead of taking the time for all of the prep work. Whether it's a weeknight or a weekend, I love a day that has chili on the menu. 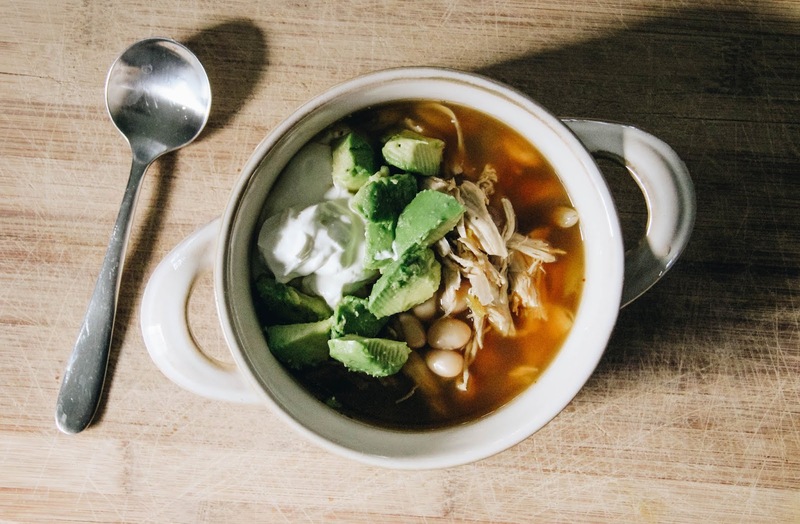 And lately, we've been obsessed with white chicken chili topped with a dollop of sour cream + chunks of hearty avocado. Throw some cheese on for good measure, and don't dare forget the sweet cornbread! Pour all of the chicken stock into the dutch oven. Bring to a boil and add the chicken breasts. Bring the boil down to a mild simmer and put the lid on. Cook for approximately 25 minutes. Remove the chicken breasts from the dutch oven and shred. Add it back to the pot. Now add the beans, chilis, onion, and spices. Stir well. Cook on a low simmer for1.5 to 2 hours. 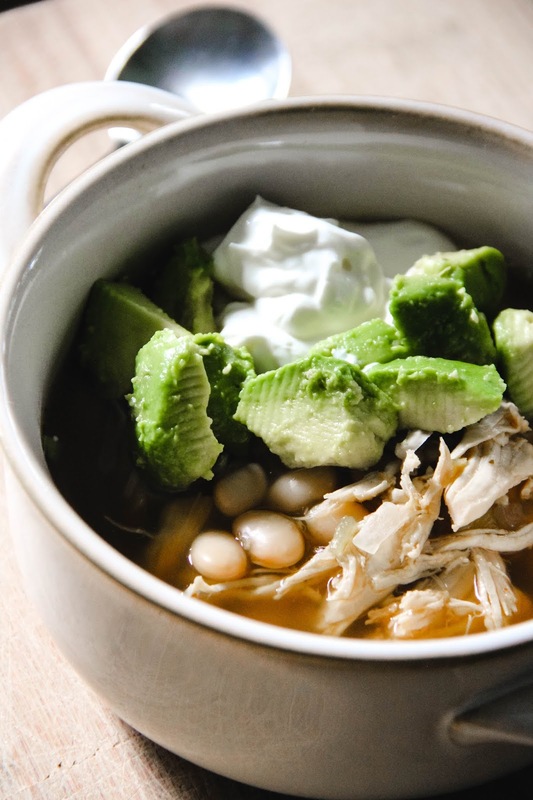 Top with sour cream, chunks of avocado, and shredded cheese. **For sweet cornbread: Grab a box of Jiffy Corn Muffin Mix and prepare according to the side of the box. Then mix in 8 oz of creamed corn. Bake in an 8x8 baking dish at 400° for 20 minutes.